JIM DAVIS's world-famous strip is syndicated in more than 2,400 newspapers with 200 million daily readers. 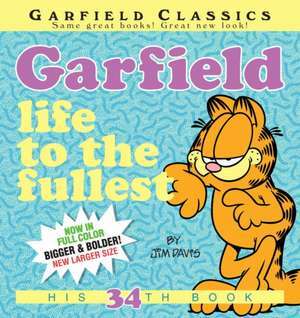 Since Garfield's birth in 1978, his books have more than 135 million copies in print, have been translated into forty languages, and thirty-three titles have been New York Times bestsellers. Davis lives in Muncie, Indiana. The author lives in Muncie, IN. 20 YEARS OF FABULOUS FELINE FUN! JIM DAVIS' TOP TWENTY ALL-TIME FAVORITE STRIPS! A Heaping Helping of Classic Garfield Strips! A Rare Glimpse Inside Jim Davis' Original Sketchbook! Exclusive 20th Anniversary Interview with Garfield! It's nothing less than a milestone for Garfield and a must-have collection for every fat cat fanatic!